Both Carscoops and Diario Motor claim to have details on the upcoming limited-run all-wheel-drive hybrid, with some slightly varied language, as Autoblog pointed out. 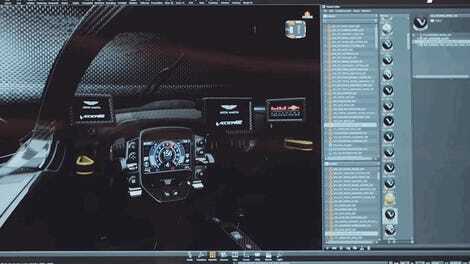 Either way, both reports put the combined power figure from the twin-turbo V6 and hybrid-powered front electric motor at around 1,000 horsepower. Carscoops claims 1,000 HP is the target, DiarioMotor states it as the actual claimed figure. Either way, it’s a lot of horsepower. The alleged brochure also reveals the car’s curb weight to be 1,350 kilograms, which roughly translates to about 2,976 pounds, with a power-to-weight ratio of 750 hp per tonne. A little math tell us that that equals a possible 1,012 HP. The 003's 0 to 60 mph time is claimed to be around 2.5 seconds, with a top speed of over 350 kilometers per hour, or roughly 218 mph, according to Diario Motor, or over 220 mph according to Carscoops. 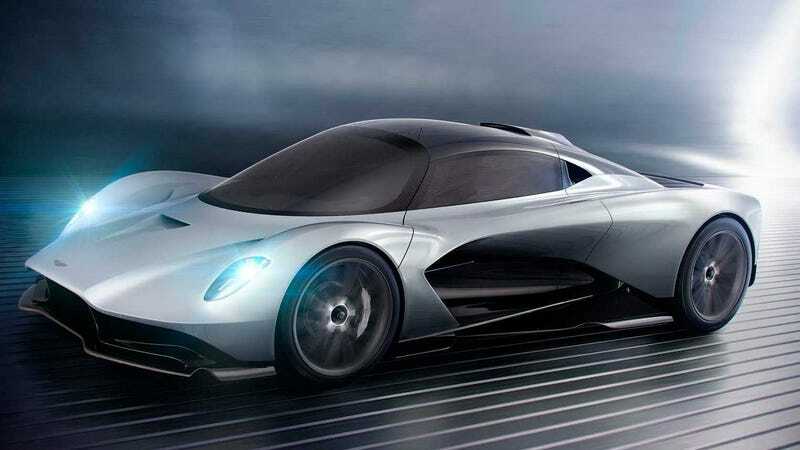 AM-RB 003 is meant to slot under the Valkyrie, which gets 1,160 HP from 6.5-liter naturally aspirated V12 coupled with a hybrid setup, but above the more mainstream Vanquish, which is also going mid-engine. The 003 is due to get an actual name sometime between now and when the 500 examples start getting shipped to owners in 2021. The reported price is claimed to be £875,000, or around $1.15 million. The AM-RB 003 should be perfect for those who were a little concerned about fitting their bodies into the cramped Valkyrie. It’s nice that Aston Martin is building enough 1,000 horsepower supercars to suit everybody’s preferences.